It’s hard to imagine today that Las Vegas was once considered a cultural desert. Today, that perception has changed 180 degrees, and the city easily owns its new image as a cultural oasis thanks in part to a world-class performing arts center; a burgeoning Arts District; an abundance of street art, including murals and sculpture, particularly in the downtown area; fine-art galleries on the Strip; and major installations such as Ugo Rondinone’s “Seven Magic Mountains,” which has become one of the most Instagram-ed spots in the region. And for a city like Las Vegas where Instagram spots are abundant, that’s quite a statement. 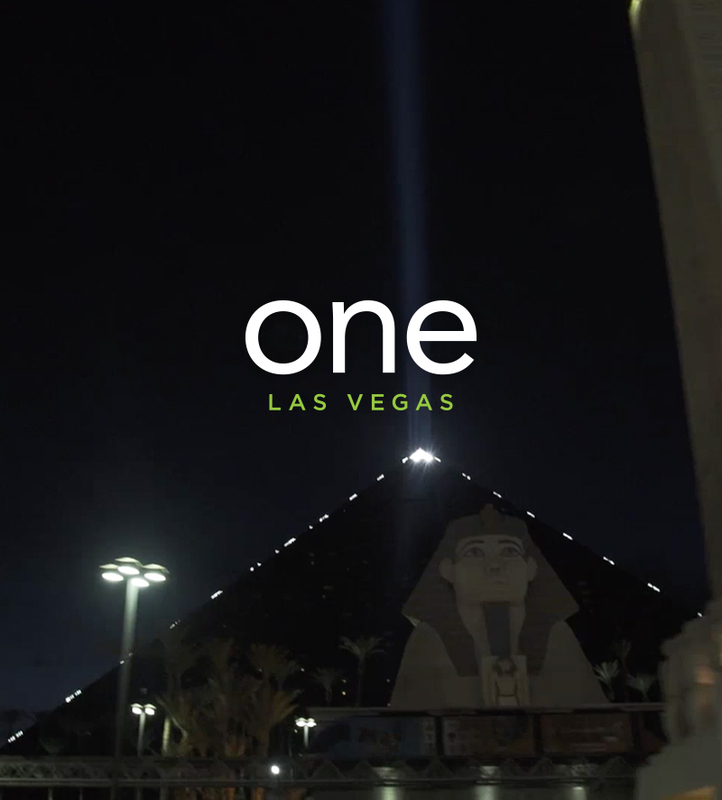 For residents of One Las Vegas, the twin 20-story condominium towers on the south end of Las Vegas Boulevard, access to art and culture is steps from their front door in their own lobby and a few minutes away by car. 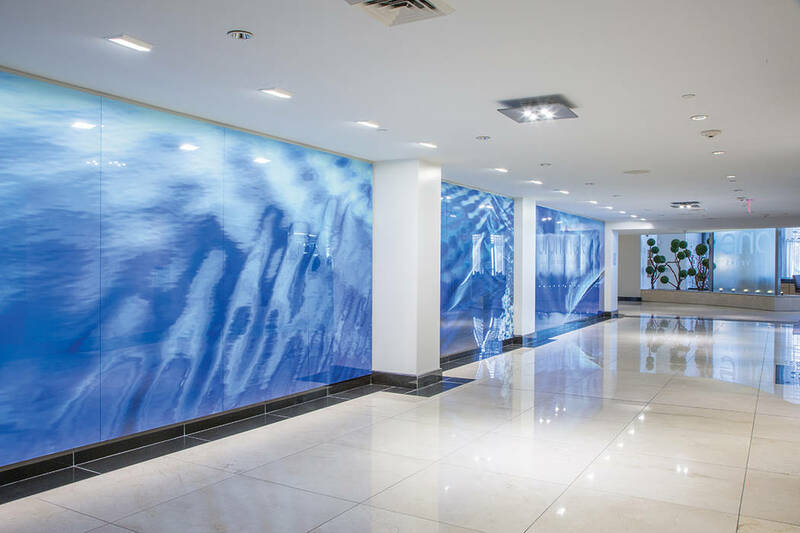 “Waterway,” a 54-foot photographic installation by acclaimed artist and photographer Marilyn Suriani graces the lobby of One Las Vegas. It was installed a few years ago as part of a refresh to enrich the community through art, design and lifestyle. Down the Boulevard at Aria is the first major permanent collection of art in Las Vegas that is integrated in public spaces throughout the resort. The Aria Fine Art Collection features work by a roster of internationally acclaimed painters, sculptors and installation artists who are the literal “who’s who” in the universe of fine art. Guests can interact with these important works of art that have been strategically placed throughout the property to fascinate and educate guests. And, at MGM, an international multimillion-dollar art collection is being curated for the gaming and hospitality giant’s properties here and abroad. Like at Aria, empty walls and spaces are being transformed into fine-art installations to surprise and delight visitors. Downtown Las Vegas, a 10-minute freeway drive from One Las Vegas, is an outdoor landscape for culture and the arts. Here, the city’s history and origins are reflected in iconic neon signs that have become works of public art. The Fremont East Entertainment District, packed with hip bars and restaurants, is marked by two retro-looking neon signs: a giant martini glass and vintage stiletto pump that scream “let’s party,” illuminating the area with light, fun and energy. Old neon signs that would otherwise be sent to the dump or imploded to make way for newer, shinier hotels, enjoy a permanent home at the Neon Museum, which has become a celebrated spot to photograph rock bands, celebrities, brides and fashion models. Recenlty, the iconic, 80-foot-tall neon guitar from the Hard Rock Hotel, now being reimagined by Sir Richard Branson as a Virgin property, made its way to the Neon Museum. And the Mob Museum, ranked among the nation’s top 25 museums, explores the influence of organized crime in America and Las Vegas with head-turning exhibits and displays that leave nothing to the imagination. Case in point? The Mob’s Greatest Hits: a photo wall of high-profile assassinations in all their technicolor glory. Public art in the form of massive outdoor murals graces many downtown buildings and walls, creating visual interest and sparking conversation. Street artist and political activist Shepard Fairey is just one of several artists whose works have found a home in downtown Las Vegas. His masterpiece “Cultivate Harmony” envelops the Plaza. In addition to colorful murals, street art punctuates the area, which is populated with locally owned bars, restaurants, coffee shops and retail boutiques, many in reimagined spaces. Consider “Radial Symmetry,” a 20-ton sculpture by Luis Varela-Rico, installed in summer 2018 at the intersection of Commerce and Main streets. Or check out “Snowball in Vegas,” local artist Jesse Smigel’s sculpture of a 10-foot-tall cat head that has become a landmark for the Arts District. 18b, or the Las Vegas Arts District, is a neighborhood of more than 18 blocks featuring a dense concentration of more than two dozen galleries and studios that are home to emerging and proven artists, alike. Artists make their homes in unique venues such as The Arts Factory, a repurposed warehouse, and Art Square, also home to Cockroach Theatre. Gritty and urban, the celebrated Arts District is a draw for the city’s creative minds who relish the area’s authenticity. At the center of performing arts in Southern Nevada is The Smith Center for the Performing Arts, an architectural wonder and Art Deco nod to the region’s other architectural wonder — Hoover Dam. Home to touring Broadway productions, concerts, community theater and the city’s two beloved resident companies — Nevada Ballet Theatre and the Las Vegas Philharmonic — The Smith Center boasts a robust schedule for a variety of cultural tastes. One Las Vegas’ sister property, Juhl, a loft-style community that spans an entire city block in downtown Las Vegas, is home of a unique Artist in Residence program that provides free working and living space for emerging artists, capitalizing on the area’s draw and appeal to the creative class. The program, in its fourth installment, recently forged a partnership with the UNLV School of Architecture. According to Eric Strain, UNLV associate professor of architecture, the Artist in Residence program at Juhl is a convergence of art, architecture and housing. One Las Vegas’ south Strip location not only provides convenient access to the best the city has to offer — from shopping and dining to entertainment, arts and sports — it is also an escape from the hustle and bustle of the Strip.